To those who are practicing their loop-de-loops, bravo! I love you! To those who are not practicing loop-de-loops but are still reading this, I love you too, and will play Words With Friends with you later. When you really get into a drawing, your breathing deepens, and you feel enclosed in a safe, warm bubble, no matter where you are. Yes, go ahead and say it, mindfulness. Yep. Whatever. Let your hand move like the divining piece on an Ouija board, allowing the pencil or pen to move where it may. Trace a photo. (Check into copyright restrictions if you want to publish your drawing, but it’s okay for practice). Do a contour drawing. Don’t take your eyes off the model while your pencil moves along the outlines. Look down only when you are finished and see a fabulously distorted picture! Experiment with pressure – draw fat and thin lines. Smudge pencil lines with your finger. Tear up your drawing, then use glue stick to paste down the pieces in different ways on another piece of paper. Try something else that you think of. Let me just say that it is perfectly okay to continue to draw the way you draw right now. What makes you unhappy about the way you draw? Plenty of artists who draw people with large heads and small bodies are quite successful. Do you wish your drawing was more representational, or do you wish to tell a story with your drawings? Do you want to please people with drawings that are framed gifts? Important to identify your intentions, but also know that you can enjoy drawing for the meditative act itself, and that it need not represent (be a symbol for) anything at all. Try setting your intention to “discovery”, and see where it takes you. Next installment of these lessons will be “What to Draw: Lesson 3: Body and Soul”. Often upon finding out that I am an artist, someone will say to me in an ingratiating tone, “I wish I knew how to draw”. This always has had a kind of false ring to me, because if they wanted to draw, why aren’t they drawing, or at least compulsively doodling? Drawing requires doing, and really, it’s not doing much compared to other forms of artistic exertion. All one needs is a pencil and the back of an envelope to get started. So what prevents people from drawing? They think they have to make a masterwork the first time they draw. They are afraid people will laugh at them. They have to clean the house first. They are busy making piles of money doing something else. They really DON’T wish they knew how to draw. They don’t know WHAT to draw. Why drawing is good for you. Drawing connects your brain to your body. It’s a way of making your own personal discoveries about your world, and every time you make one of those discoveries, you get a squirt of feel-goodness. Start by drawing loop-de-loops. 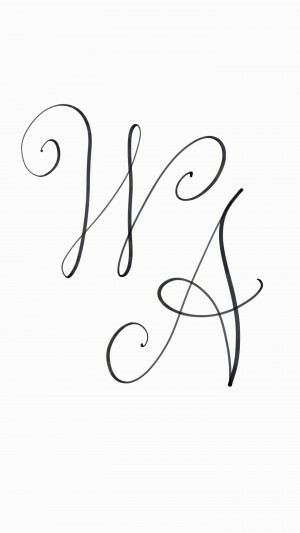 I hear that cursive handwriting is no longer taught in schools. This is a shame, because the fundamentals of handwriting can be applied to drawing. 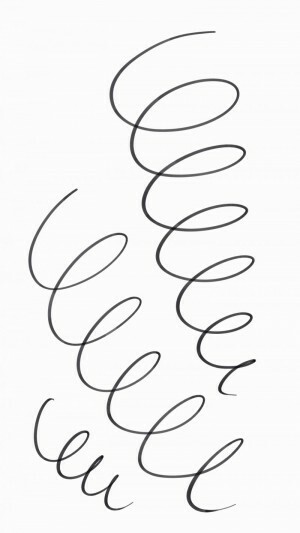 When I learned how to make cursive letters, I was first taught just to practice loop-de-loops. This is a VERY GOOD THING, loop-de-loops, and everyone who aspires to draw should practice them. Big loops, little loops. This liberating exercise is very helpful in relaxing tension and connecting your hand with your brain. Please tell me – what are YOUR excuses for not drawing? Next installment of this thread will be “What to draw: Lesson 2: Set your intention”.